GOD IS IN THE DETAIL: The Real Winners of London 2012; Paddy Power, Nike and Beats. 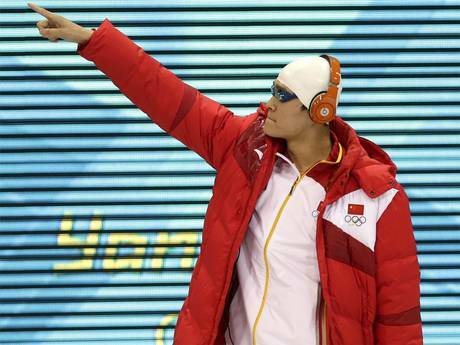 The Real Winners of London 2012; Paddy Power, Nike and Beats. 1. Inspiration can come from anywhere. 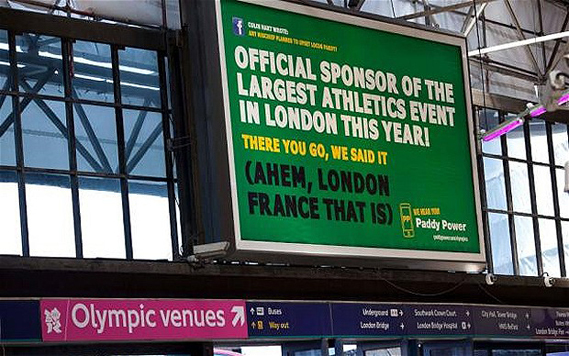 Apart from proving that a couple of well placed billboards are still as powerful as ever, the shock victory of Paddy Power’s legal team over LOCOG demostrates that it pays to get your lawyers involved early on in the process. It also shows that inspiration can come from anywhere, even the legal department. Knowing the exact legal loopholes, i.e. ‘If you actually put on a real sporting event in a different place called London…’ might just be the spark you need in the creative department. 2. Advertising is a game of chess. And Nike has once again proven itself to be the Grandmaster. If you look at their strategy Find Your Greatness you can see that it is a direct and aggressive response to the Adidas one of Take The Stage. Knowing that Adidas would run a campaign celebrating the Olympic athletes it had paid millions of pounds to feature, Nike countered with one about us (all here), the millions of normal people watching. Not only did they make a deeply resonant and egalitarian campaign based on an emotional insight (to us our own challenges and successes are as monumental as those of Olympic athletes) but they also positioned Adidas as a superficial and elitist brand. 3. There is always a back door.